We’re not holding our breath for Mary-Kate or Ashley Olsen to get a public Instagram account anytime soon, so as resourceful editors with an appetite for Olsen photos, we had to take matters into our own hands. Thankfully, Olsens Anonymous does a fantastic job of creeping on the Instagram accounts of the twins’ peers, keeping us up to date on their personal lives. Scroll down to fuel your Olsen obsession with the best photos of Mary-Kate and Ashley that have surfaced on Instagram. 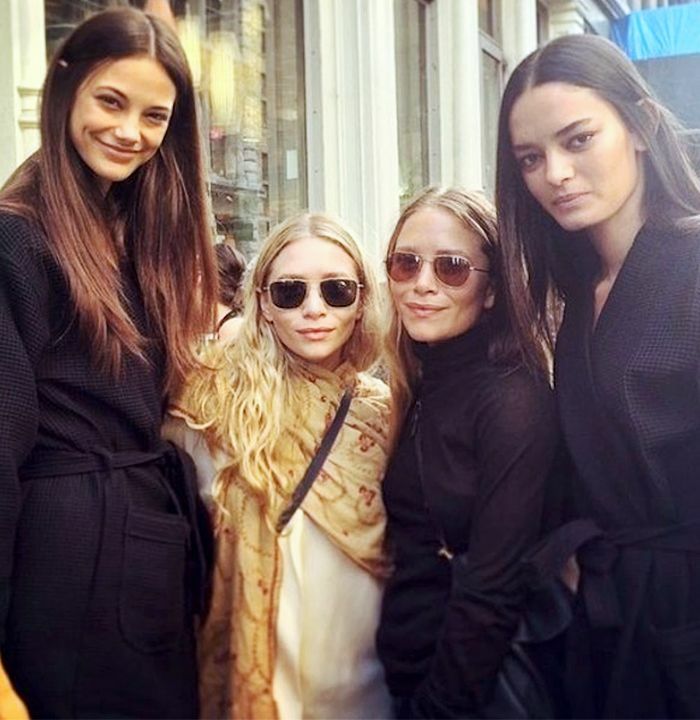 Mary-Kate and Ashley Olsen with models at The Row S/S 15 presentation during New York Fashion Week. Ashley Olsen in Big Sur with friends. Ashley Olsen practicing yoga at Kyle Miller Yoga Studio. Ashley Olsen dressed up as a ladybug for this past Halloween with her friend. Mary-Kate and Ashley Olsen at The Row S/S 15 presentation during New York Fashion Week. Mary-Kate Olsen at a friend’s wedding. Mary-Kate and Ashley Olsen celebrating at ABC Cocina in New York with their friend. Mary Kate and Ashley Olsen at The Row presentation. Mary-Kate and Ashley Olsen at a friend’s wedding. Mary-Kate is wearing Celine. Mary-Kate and Ashley Olsen on vacation. Ashley Olsen at the Elizabeth & James S/S 15 presentation at Saks Fifth Avenue in New York City. Mary Kate and Ashley Olsen with model Dana Taylor at the Row S/S 15 show at New York Fashion Week. Quiz: How Well Do You REALLY Know Mary-Kate and Ashley Olsen? Ashley Olsen hanging out seaside with a friend. Ashley Olsen at The Row Resort 14 presentation with model Miriam Haney. Mary-Kate and Ashley Olsen celebrating their 28th birthday. Mary-Kate and Ashley Olsen getting ready backstage before the Ellen Show. Ashley Olsen kayaking with a friend. Mary-Kate and Ashley Olsen at a dinner in San Francisco hosted by The Row and Barneys. Mary-Kate and Ashley Olsen at the Elizabeth & James Nirvana fragrance debut event. 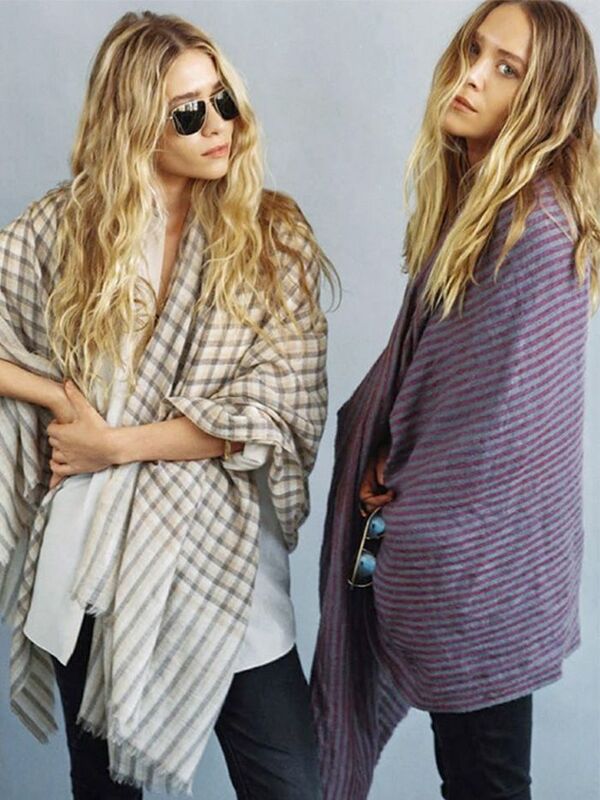 Mary-Kate and Ashley Olsen at The Row F/W 14 presentation. Ashley Olsen fishing with friends in Montana. Mary-Kate and Ashley Olsen right after their show at New York Fashion Week. Ashley Olsen at a party with a friend. Mary-Kate and Ashley Olsen outside The Row S/S 14 casting. Which photo was your favorite? We quite like the one of Ashley in a ladybug costume. Let us know in the comments below!